The IRS allows a sole proprietor to deduct operating expenses, the costs of doing business, on his individual tax return. Generally “ordinary expenses” and “necessary expenses” are tax deductible. Ordinary expenses are those costs commonly associated with doing business in a certain area of trade. Necessary expenses are the costs arising from anything that is helpful and appropriate to doing business, but need not be considered indispensable in day-to-day operations. A sole proprietor can deduct the administrative expenses of his business, such as the cost of maintaining a home office and expenses arising from the business use of a car. The deductions associated with a home office may include mortgage interest, utilities and repairs on the home. The cost of trade or professional licensing and insurance are similarly deductible. Preparing a tax return and certain taxes paid out, in connection with doing business, to various federal, state, local and foreign taxation authorities may also be tax deductible. Sole proprietors are generally considered self-employed and, as such, they must pay self-employment tax as well as income tax. The self employment tax is a Social Security and Medicare tax for those that work for themselves. However, a business owner can deduct any expenses related to being self-employed, such as the cost of buying health insurance and contributions to a retirement plan. Costs, including depreciation, arise from tangible and intangible sources. The cost of starting and organizing a business, leasing goods or property necessary to conduct business as well as travel and advertising expenses are all examples of tangible expenses. An intangible expense would include costs arising from things such as obtaining a business trademark, patent, copyrighting business related patterns or songs, and even the costs of maintaining a trade secret. Both tangible and intangible expenses are tax deductible. Copyright protects the economic interests of writers, artists, musicians and other creative professionals in the fruits of their intellectual labor. Copyrights affect both business and personal use of a wide variety of common items; infringing on someone's copyright can create legal and economic problems at home and at work. 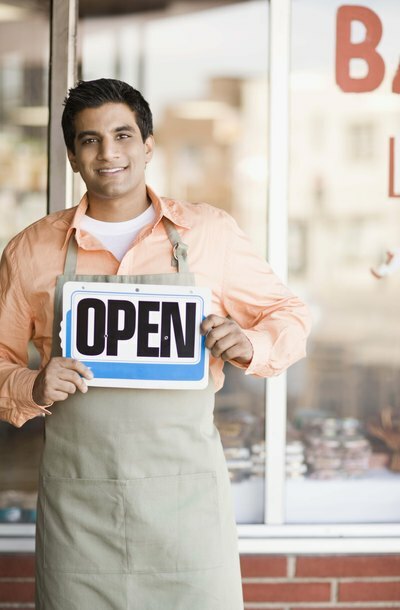 More than 22 million people run sole proprietorships in the United States, making it the most popular form of American business. One reason for this popularity is that sole proprietorships are the simplest type of business to form and start operating. Formal business requirements for a sole proprietorship are minimal, and a sole proprietor has the option of transforming her business into a partnership, LLC or corporation later on.